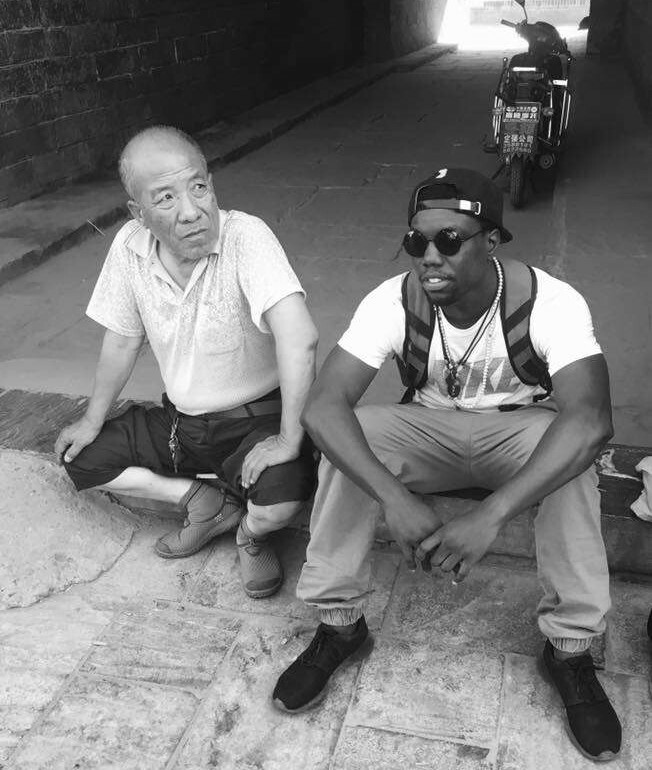 Leroy Adams, co-founder of BLK GEN, tells us about his journey to China and how he has found his purpose as a cultural bridge-builder through the arts. Tell us about how you ended up in China! 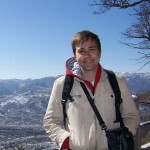 I believe my journey to China is similar to many of the expats that live here with one exception; my job offer came off the heels of my Peace Corps service. The company that originally recruited me did so through the Peace Corps Career Center service. The universe has a way of reminding us that everything happens for a reason because had it not been for my Peace Corps service I’m not sure that I would have ended up in China. Can you tell us a bit about how your experiences in the Peace Corps have shaped you? Endabaguna was a town of about 10,000 people so the lone American foreigner in the town stuck out like uncombed hair. My community changed my life, they changed the way that I viewed the world, how I viewed purpose. Through the sharing of their traditions and folklores to the unshaken awareness of another human being they taught me what it was to exist with a purpose and share this purpose with the rest of the world. I could talk forever about my Peace Corps experience but I’ll end it by saying that without my Peace Corps experience I believe I would have viewed the world the same way I did before entering it, and that has always frightened me. What was your inspiration for starting BLK GEN? BLK GEN was created by myself and partner Nayyir Shareef. We’ve always expressed that while BLK GEN has many purposes the inspiration behind it comes from a devotion to challenge destructive narratives and false images about Black and African people. Throughout history these often marginalized groups have had their stories told through the lens and eyes of outside members who offer no uplifting or empowering message about those they spoke on. BLK GEN is the force that has created a space, a platform, for Blacks and Africans to tell their stories and share their culture, their beauty, their talent with people who exist outside of our world but want to learn more. We will continue to build bridges over the walls that society builds; bridging cultures through enriching and empowering art mediums is the mission. BLK GEN is largely about sharing artistic talent – what are some of your favorite creative pursuits? For a long time writing has been one of my favorite creative past times. I wrote poetry, short stories and quotes throughout college. Recently, especially with my involvements with BLK GEN and working with so many creative people I have the desire to dive into film. My next goal is to create a documentary on traveling, showing how Black American travel has evolved within the last ten years and the educational and career implications it has. Who has(have) been your biggest hero/mentor(s)? My mother has always been my biggest hero. Without her I am not. She taught me the value of hard work, perseverance and pushing back when the world pushes you. She actually took her first trip abroad last week when she came to visit me in China. It was amazing to see her climbing the Great Wall. My sister Aysha has always been an influence in my life helping me make sound career decisions through college and even today. She was the first person to encourage me to go into the Peace Corps. If he sees this he’ll never let me forget it, but my business partner and friend Nayyir has been a great mentor, building BLK GEN with him has allowed me to learn from his vast experience in business and marketing, and learn what works and what doesn’t work and how to keep pushing forward even when moments look bleak. 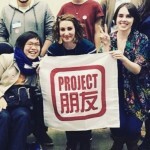 As a Black American in China, you face a unique set of challenges and opportunities – is there a specific moment(s) you can share when your efforts through BLK GEN have produced cross-cultural understanding? At our most recent event CULTURE SHOCK one of the poets Olivia Nadine recited a poem that she said was influenced by a conversation she had with another artist from Uganda, James. James expressed to her that it feels the conversation about slavery always focuses on those who were taken but there is never any thought given to those that were left behind. At hearing this I was stunned because it was true, I believe that I am a well read and knowledgeable person but never have I given much thought to the Africans that were left behind and what unspeakable horrors they may have endured. I was not the only person in the room who felt this way the “Wow, that’s an interesting thought” reaction from the rest of the audience tells me that many of us learned something in that moment. One of the proudest moments I have ever had during my time with BLK GEN came when I was attending a Thanksgiving dinner in Beijing and a white American woman asked me if she was allowed to attend a BLK GEN event. I giggled initially because I was so shocked by the question, but she was seriously confused whether or not she was “allowed” to attend. Before I could address her question the seven other people in the room – one Black American woman, two Black Caribbean women, one South African woman, two white American women and one Black American man all asked her why would she ask that and expressed to her that of course she could come. They relayed to her their past experiences at BLK GEN events and explained that although it was named “BLK GEN” our events were inclusive from the guests that we invite to the artists that we work with. I was extremely proud in that moment. 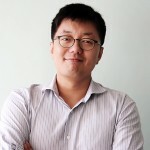 What do you see for the future of BLK GEN in China and soon the U.S.? 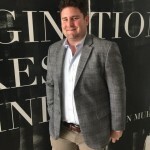 We have built amazing relationships with artists, media, and local businesses in China and we hope to continue to expand our efforts and eventually establish a BLK GEN creative space in Beijing and the U.S. Our efforts are rooted in our principles to “Engage, Enrich, and Enspire” and by sticking to these principles we will build our international media platform, BLKGEN.com, into the global powerhouse that we envision it to be. If you could give one piece of advice to a student back home about coming abroad, what would it be? Who you are in that moment when you question why you ever decided to get on the plane, is not who you are. You are the person who decided to get on the plane. Stay the course. We had the pleasure of attending BLK GEN’s most recent event, CULTURE SHOCK, which was a fantastic and inspiring evening of poetry, spoken word, and musical performances, including a special guest, Tyson Amir. You can read more about the event as well as watch a video with a glimpse of Tyson’s lyrical genius in SupChina’s article here. 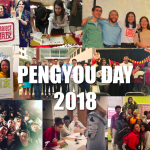 We’re inspired by Leroy and Nayyir’s dedication to sharing their culture and breaking misconceptions through art and engaging conversation, and we encourage all pengyous to check out their soon to be published webpage! U.S. natives Leroy Adams and Nayyir Shareef are the forces behind Beijing-born Edutainment brand BLK GEN, the city known Creative Events Planning & Consultancy Group utilizing the arts to spread enriching awareness of the displaced, disadvantaged and misrepresented African-Diaspora. 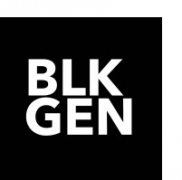 Founded in January of 2016, BLK GEN set off with one mission, to enrich to empower. This to be accomplished thru events, initiatives, projects & other rich-works aligned with their aim utilizing the guiding principles of Creativity, Empowerment, Enrichment, Innovation and Sustainability. Contact Nayyir and Leroy via Nayyir@BLKGEN.com and Leroy@BLKGEN.com.